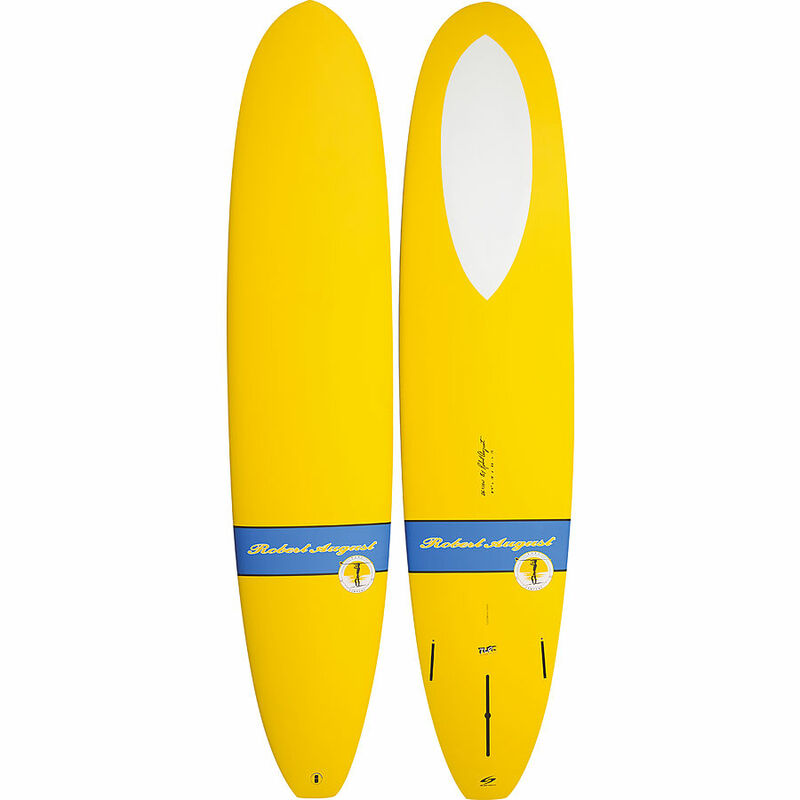 4.5	stars -	"Review for Robert August What I Ride TLPC Yellow 9 ft 6 inches" Mark Taylor This Robert August What I Ride TLPC Yellow 9 ft 6 inches is the best Longboards I have tried. TLPC - Every shape is unique, and the construction should be too. Tuflite Pro Carbon construction gives you the buoyancy of the traditional Tuflite but in a lighter version of the 'What I Ride' model. Matte finish, fins not included. This board features carbon composite construction combined with Surftech's Fused-Cell EPS core and TL Pro Carbon (TLPC) proprietary stringer system. Strategically positioned carbon reinforcement laminated over a layer of high-density foam strengthens the board while creating the lively flex pattern that can only be found in Surftech's TLPC technology. Importantly, the TLPC technology cuts the weight down, making these longboards much easier to handle.